Mohammad Qayoumi served as the 28th president and a professor of electrical engineering at San José State University. He holds a bachelor’s in electrical engineering from the American University of Beirut and four graduate degrees from the University of Cincinnati. He has over 36 years of engineering and administrative experience in several universities, and published eight books. He currently serves as Chief Adviser for the President of Afghanistan on infrastructure, human capital and technology. Since the 17th century, organizations have used financial and nonfinancial information to direct managerial decisions. Until the 1950s, financial accounting information was primarily used to control the work of individuals and production units. However, in the 1950s, businesses started using this information not only to control work but also to plan the extent of financing of the enterprises as a whole. Therefore, when financial accounting information is used for controlling people and financial planning, it is referred to as management accounting. Management accounting reports are built around the information needs of managers, who must define specific objectives of the enterprise. Different institutions have different objectives, and management accounting focuses on the financial dimensions of how and why institutional objectives are achieved. Unlike audited financial reports, managerial financial reports are more subjective and less rigid in form. The form or content may vary and can include graphs or charts to supplement the statements. Moreover, these reports can encompass nonfinancial elements such as the size and quality of enrollment, faculty size, the condition of physical facilities, and the scope of administrative staff. Nearly all facilities management problems involve alternatives, and resolution of these problems requires consideration and comparison of the costs of alternatives. What levels of electric power should be purchased and produced? Should a heating or power plant be converted to a different type of fuel? Should building cooling systems be converted to a central chiller plant with a chilled water distribution system? There are alternatives when replacing building components and equipment such as absorption chillers, compressors, components of a steam distribution system, roofs, and roof drainage systems. The choice among alternatives is often not simple; machines and structures generally are part of a complex plant, and this complexity creates difficulties when determining the effects of alternatives. Many alternatives embody subsidiary alternatives. Satisfaction of the engineer's sense of technical perfection is not normally the most economical alternative; imperfect alternatives are sometimes the most economical. In most cases, the costs to be compared are not immediate costs but long-term costs. Initial costs, operating and maintenance costs, life expectancy, and replacement costs all must be considered. The time value of money is a factor and should always be considered. A business manager who is not technically trained must rely on the facilities manager for advice as to the differences among technical alternatives. Facilities management must translate the differences among alternatives into money terms, both for internal decision making and to justify requests to higher authorities for funds. This chapter addresses the basic financial principles and methods with which facilities professionals must be familiar in order to participate competently and effectively in college and university financial management. As mentioned earlier, managerial accounting involves planning analysis and control for financial decision making. These topics will be discussed briefly. In past decades, the topic of financial controls has received a lot of attention. One of the main events that emphasized this topic was the passage of the Sarbanes-Oxley Act of 2002 (SOX). Although this legislation primarily affected publicly traded companies, its impact has indirectly been felt by universities as well. A number of states issued legislation similar to SOX, but more important, financial auditing firms began to examine their roles more closely after the demise of major accounting firm Arthur Andersen. Therefore, a better knowledge of internal controls of financial systems has become increasingly important. The most well known and highly respected internal control framework was developed by the Committee of Sponsoring Organizations of the Treadway Commission (COSO) in 1992. This integrated framework established effective internal controls that have served most industries well. This section provides an overview of these principles. 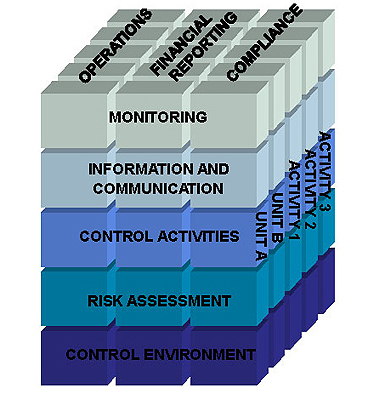 The first dimension of the framework provides three categories of objectives: operations, reporting and compliance. For operations, the organization must provide reasonable assurance to the board of directors and management that the entities' operations are being achieved. For compliance, the organization must provide reasonable assurance to the board of directors and management that the entity is in compliance with applicable laws and regulations. Another important element of control environment is having code of conduct, code of ethics, and conflict of interest statements for the organization. These documents must be filed annually and apply to all employees who have direct or indirect financial responsibilities. A simple way to examine these categories is to plot the probability of occurrence against the impact in a graph, as shown below. Control activities encompasses the policies and procedures companies establish to mitigate risks and ensure institutional objectives are realized. Control activities may be preventive or detective in nature. A “segregation of duties” policy that requires approval from both the initiating department and a finance officer on all purchase orders over $5000 is an example of a control activity. This requirement implies that pertinent information must be identified, captured, and communicated in a form and timeframe that enables people to carry out their responsibilities. Key information qualities include timeliness, accuracy, currency, and accessibility. An additional factor that should be kept in mind is information security. This topic is covered in more detail in other parts of the manual. Monitoring requires having a process that assesses the quality of system’s performance over time through a combination of ongoing and separate evaluation activities. In conclusion, internal financial control is essential for any organization because it keeps the organization on course, plays a critical role in achieving the organization's mission, minimizes surprises, improves an organization's capability to deal with a changing environment, and provides a standard for assessment and improvement. In the wake of the global financial meltdown of 2008, COSO issued updates to its internal control framework in May 2013. Further, new federal, state, and local legislation may be passed to address the efficacy of organizations' current internal financial controls. Steps to achieve the goals are chosen. Actual performance occurs, either according to plan or with variation. Performance is monitored through feedback mechanisms. Adjustments are made to goals, plans, or actions. To control, it is necessary to have a way of measuring performance and a standard to which that performance will be compared. The cost accounting system, when properly structured, provides a means of measuring cost performance. The standards for comparison can take many forms. The two most common comparisons are present versus past and actual versus budget. Even the most rudimentary accounting systems permit a comparison of present to past costs for the same time period. If conditions are generally the same and the account breakdown is sufficiently detailed, this can be an effective control method. Even in the presence of other, more sophisticated techniques, a present-versus-past comparison is usually useful. Its usefulness is enhanced if trend lines are established that depict performance over a series of time periods. The chief difficulty with using past performance as a standard is that there is no indication of what performance should have been. Historical data could represent excellent or poor performance. Unless past conditions are known, a standard may be adopted that contains inefficiency and extraordinary costs. Although present-versus-past comparisons should not be dismissed entirely, they must be used with extreme caution and skepticism. They are most valuable when used in conjunction with other indicators. Comparison of actual costs to budget is perhaps the most important technique available to the facilities manager. It is generally superior to comparisons against past performance because of the characteristics of budgets in general and the unique role they play in nonprofit organizations. When properly prepared, budgets represent the plan, stated in monetary terms, that has been formulated to meet the objectives of the organization. As such, they force the manager to anticipate changes. In nonprofit organizations, budgets play an even more important role in management control. In such organizations, control is generally viewed to be more difficult because of the absence of profit as an objective, as a criterion for appraising alternative courses of action, and as a measure of performance. This shifts the focus from profits to plans and budgets and makes the budget the principal means of overall control. When budgets are used, cost control will be much more effective if the cost accounting system is designed to be consistent with the budget, and vice versa. Unless the two are stated in the same terms and structured similarly, there is no way of determining whether spending occurred according to the budget plan. This does not mean that a budget should be set for each detail account, but it does mean that there should be accounts in the cost accounting system that match each line item in the budget so that a direct comparison can be made. There are many different types of analysis that can be performed to get better insight into the effect of management on the institution's financial performance. The most common ones are comparative analysis, constant dollar analysis, performance analysis, ratio analysis, variance analysis, and exception analysis. Comparative analysis involves comparing specific internally stipulated objectives against those of other similar institutions. However, because of the inconsistency of interinstitutional data, the validity of this technique is questionable. Most managers are interested in how their operations compare with those at other universities, or with the average of those at other universities, and seek performance measures common to all facilities. For example, the time required to run 100 ft. of electrical conduit can be measured on an absolute basis. The task should take the same amount of time anywhere, assuming that workers of equal ability do the job and similar conditions exist. However, few absolute measures exist against which actual performance can be compared. Most measurements are relative to past performance, are in index or ratio form, and are most meaningfully analyzed using trend lines and charts. The report presents this information in a format that permits comparisons. Managers can compare their institution's performance with those of institutions of similar size, type, and educational purpose. At best, published indicators can serve only as a guide. Large differences are often noticeable, even among similar organizations. These wide variations reflect the differences not only in costs but also in methods of accounting for costs. For this reason, caution is required in using such comparative data. A better approach to comparative analysis is benchmarking, which is discussed later in this chapter. This analysis is a primary concern for institutions and indicates the impact of inflation on the institution's budget. These are several sources that can be used for comparison; an example is the Higher Education Price Index, from which an institution-specific cost index can be developed. This analysis seeks to establish standards other than budgets against which to measure and compare actual performance. These standards are frequently nonmonetary and are intended to complement, not replace, budgets. In many cases, these standards provide the detail on which budgets are built. A 20-day backlog of work should be maintained at all times. Actual job costs should be within 10 percent of the estimates. Actual labor performance should be from 95 to 105 percent of standard labor. Energy use should not exceed 100,000 Btus per square foot per year. Deviation from a standard is known as variance. The standard can be historical data, comparable data from another university, or any other predetermined yardstick. For cost control, it is of little use to know only the dollar amount of the variance, especially if many factors are at work to influence cost. To take effective action, it is necessary to break down the total difference into its individual elements using variance analysis. There are basically two types of variance: price and quantity. Several other variances can be developed for specialized purposes, but each one is ultimately traceable to variations in price, variations in quantity used, or a combination of the two. A cost control system operated on the exception principle is one in which management's attention is focused on the relatively small number of items for which actual performance is significantly different from the standard. This principle acknowledges that management time is a scarce resource that should be applied to problems that have the greatest impact on the organization. The relatively large number of minor variances from standard are either ignored or left to become the priority concern of a lower level manager in the responsibility accounting hierarchy. Management by exception is implicitly based on Pareto's Law. Vilfredo Pareto (1848–1923), an Italian economist and sociologist, first proposed the theory that in any type of activity, a small percentage of forces will influence a large percentage of results. This is also known as the 80-20 rule: 80 percent of any result is controlled by 20 percent of that which is producing the result. Management by exception focuses on the 20 percent of the deviations from standard that account for 80 percent of the problems. Analysis and interpretation of accounting information necessitates basic knowledge of finance. The key concepts needed for decision making are briefly discussed in this section. Where a choice is made between alternatives that involve different receipts and disbursements, it is essential that interest be considered. Economy studies in facilities management generally involve decisions between such alternatives. When a facilities manager is evaluating alternative solutions to a problem, the dollar values must be made comparable. This requires computations of interest. Interest may be defined as money paid for the use of borrowed money. The rate of interest is the ratio between the interest payable at the end of a period of time, usually a year or less, and the money owed at the beginning of the period. If $8 interest is paid annually on a debt of $100, the interest rate is $8/$100, or 8 percent per annum. Simple interest refers to interest that is paid each year of the loan period. Interest that each year is based on the total amount owed at the end of the previous year, an amount that includes the original principal and accumulated interest, is called compound interest. Compound interest is the general practice of the business world; simple interest usually applies to loans for periods of a year or less. It is impossible to project future economic developments with certainty. 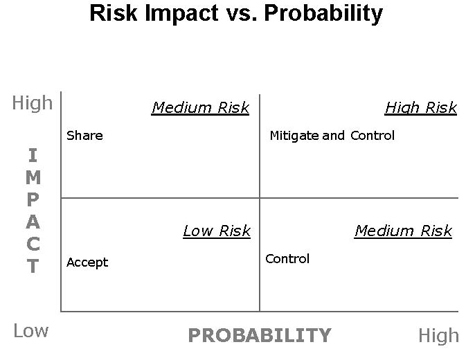 Risk is defined as the probability of the occurrence of an unfavorable outcome. There are two types of risk: systematic and unsystematic. Systematic risk is variability of outcome owing to causes that simultaneously affect the general market, such as economic, political, or social changes, international conflicts, and securities markets. Unsystematic risk is variability of outcome unique to a firm or an industry, such as labor strikes, management errors, new inventions, advertising campaigns, shifts in consumer tastes, and new government regulations. Operating risk, caused by variations in operating earnings before interest and taxes (such as fluctuations in ratio of fixed cost to variable cost). Financial risk, caused by variations in earnings per share owing to use of leverage in the capital structure. Market risk, caused by external elements that affect the economy in general and that impact earnings. Purchasing power risk, mainly caused by inflation that reduces the purchasing power of savings or invested wealth. rb = Business risk associated with an individual firm as a result of the business cycle, technological change, availability of materials, etc. Risk and return are closely tied together; one cannot be calculated without the other. If the rate of return increases, so will the risk, and vice versa. A technique that can be used in making such decisions is called break-even analysis. One methodology, which can be illustrated with the last item in the preceding list, is commonly referred to as the economic order quantity (EOQ). 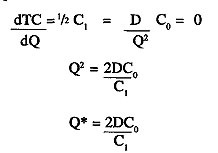 To minimize total cost, take the first derivative of TC with respect to Q and put it equal to zero. Where Q* is equal to the economic order quantity. One of the important uses of financial ratios is in financial forecasting. The objective is to determine how changing external factors will affect the financial health of the institution. For example, most institutional funding is enrollment driven. When enrollment decreases, campuses that have a higher ratio of fixed operation cost to total cost will be hurt; similarly, when federal funds for research drop, campuses that have a higher ratio of research revenue to total revenue will suffer. Debt financing is becoming a viable method of financing a capital project. There are two types of debt financing: short-term and long-term. The essential factors in selecting a source for short-term debt financing are the effective cost of credit, the availability of credit, and the influence of a particular credit on the availability and cost of other sources. The decision to finance an asset using short-term or long-term debt is made by hedging principal, which means that permanent assets should be financed with long-term debt and temporary investments should be financed with short-term debt. Therefore, the most common form of debt financing encountered by a facilities manager is long-term debt, and the most common form of long-term debt is bond financing. A bond is a long-term promissory note issued by the federal government, a state or local government, or an individual firm. It usually is issued for a period of more than ten years in denominations of $1,000. The par value of a bond is the face value appearing on the note to be redeemed by the bondholder at maturity. The market value of the bond varies with the market interest rate. When the interest rate increases, the market value of bonds drops below par, and vice versa. The bond's selling price is quoted as a percentage of par value. For instance, if a bond is selling at $650, this means the market price is $650, but at maturity the bondholder will receive $1,000. The coupon interest rate indicates the percentage of the par value to be paid to the bondholder on an annual basis. For example, if the coupon interest rate of a bond is 11 percent, it means the bondholder receives $110 annually, regardless of market interest rates. Bond interest usually is paid semiannually. Therefore, it can be deduced that when the coupon interest rate is more than the market interest rate, the market value of the bond will be more than par value, and vice versa. Bond rating is a debt quality measurement of a firm based on both subjective and objective assessments of the relative degree of risk associated with the timely payments required by the obligation. The role of debt-rating agencies is to assist those responsible for primary debt issues in setting the price and fixed rate of return. The quality assessment often is expressed as a number or a letter and is based on a scale that expresses the highest quality to the lowest quality relative to prior quality assessments of the rater. The analysis is based on a review of financial ratios and a comprehensive analysis of the issue, including the issuer's industry. The first formal bond rating was begun by John Moody in 1909. Presently, two other agencies rate bonds in addition to Moody's: Standard & Poor's and Fitch Investor Services. Standard & Poor's rating system starts with a AAA rating as the highest assigned, followed by AA, A, BBB, BB, B, CCC, CC, C, and D. The AAA rating is given to bonds with the least amount of risk, and the D rating to ones in default. Therefore, AAA bonds normally have the lowest yield because of the relatively low level of risk associated with them, and the opposite is true for D-rated bonds. The other two types of ratings are basically similar to Standard & Poor's. Capital budgeting deals with the planning and investment of a fixed asset when the expenditure and expected return extend beyond one year. Capital budgeting is an important function of plant management, because today's decisions will have an impact for many years to come, and reversing or modifying decisions will be costly. Moreover, in most of these situations the size of the investment requires careful analysis. There are a number of different techniques to use in comparing various project alternatives. Descriptions of the most common ones, such as payback method, net present value, internal rate of return, and third-party financing. This method determines the number of years over which the initial capital outlay will be recovered. A project is accepted if the payback period is less than or equal to a predetermined desired period. The advantage of the payback method is its simplicity. It also emphasizes the early years' cash flow, which is more certain than that of later years. The drawback of the payback method is that it does not take into account the time value of money. In addition, revenues beyond payback years are not considered. Despite these serious shortcomings, however, this method usually is used as a prescreening technique. For a project to be investigated further, the NPV must be larger than zero; if it is below zero, it will be rejected. When various project options are compared, the one with the highest NPV is the most attractive. This is a much better technique for analyzing capital budgeting options than the payback method for the reasons mentioned earlier, but there also are some potential problems associated with NPV. First, the discount rate has a significant role, not only in providing a go/no-go solution but also in comparing various investment options, especially if different options have diverse income streams. In other words, the method discriminates heavily against options that provide larger revenues in later years versus first years. This intuitively makes sense, because the returns in the first years are more certain than returns in later years. To illustrate this, assume that two investment options, A and B, have the same NPV at a discount rate of 10 percent. Option A has a uniform revenue stream during the project life, whereas Option B has small revenues in the first year but gradually increases toward the end of the project. If the discount rate is changed to 12 percent, Option A will be more attractive than B. Conversely, if the discount rate is dropped to 8 percent, Option B will be more attractive. Second, the NPV technique assumes that any cash flow created by the project can be invested almost instantaneously at the discounted rate. In reality, this is hardly the case. Therefore, the resulting NPV might be a bit skewed; but even with these shortcomings NPV is preferred to the payback method in capital budgeting. Although IRR is a better technique than NPV, it is more difficult to calculate the result. That is why many use the NPV technique. There are many occasions when lack of funding prevents many desired capital projects from being accomplished. Since the mid-1980s, third-party financing has become a viable option for funding certain types of capital outlay projects, mostly in the areas of central utilities and energy projects. Third-party financing also has been applied in central plant projects other than or combined with cogeneration. There have been cases in which a campus has leased its existing chillers and boilers to a third party and entered into a contract to provide a certain quantity of steam and chilled water at predetermined costs. The third party in turn has expanded the plant, adding new chillers and boilers to meet the projected load, recovering its investment through guaranteed buy-back contracts for unit cost and quantity. In this scenario, the campus has transferred its responsibility to produce steam, chilled water, and/or electricity to the third party. The campus does not have to be concerned about financing any equipment upgrades or labor problems associated with running the central plant; but in losing control of the central plant, its operational flexibility also is limited. In such situations, it is paramount that the facilities manager have major input in writing the contract between the third party and the university. Third-party financing for energy projects has occurred mostly in the area of installing more energy-efficient hardware, such as new lamps, variable-frequency drives, or energy management systems. Independent financing companies as well as equipment vendors have provided this service. In such a project, the third-party financier performs a preliminary audit. If the project appears to be financially attractive, the financier will fund the purchase and installation of the hardware; the savings or cost avoidance resulting from the project will then be shared between the third party and the host institution. One of the biggest problems experienced in such projects is determining the savings attributed to the modification. For instance, if installing an energy management system will reduce the heating cost for a building by so many million British thermal units from the baseline year, what happens if there is an extremely severe or a mild winter, or if changes occur in building occupancy? Sharing the savings between the third party and the host institution, although simple in theory, can become involved in actual practice. In summary, third-party financing has offered another potential savings mechanism. It must be understood that because the third party is assuming the risk and funding the project, it will want to be compensated for that risk. Generally speaking, third-party financing is less attractive for nonprofit institutions, as the tax implications usually are moot. However, for institutions that have limited capital funding for the needed levels, it can be a viable funding mechanism. Since the 1970s, with the popularity of continuous improvement and quality improvement practices, management accounting has come under a lot of scrutiny. Many believe that after World War II, accounting information displayed a distorted picture about many businesses, and this distorted picture is viewed as one of the causes of declining competitiveness and profitability in many American enterprises. Traditional cost management systems focus on controlling cost by means of cost-based budgets, standards, variances, and measurements established at the departmental level. They do not provide the analytical tools needed to identify areas where administrative and support processes can be more cost-effective. In short, traditional management accounting is often not connected to the company's goals and objectives. It usually proves to be inflexible, emphasizes short-term considerations, and has an affinity for suboptimal solutions. Moreover, it fails to eliminate the root cause of inefficiencies and non-value-added activities in the organizations. Currently, it is widely recognized that the world for which traditional management accounting was designed is rapidly disappearing. Today, management accounting is focused on processes and activities cost and performance measurements for quality attributes such as customer satisfaction, reliability, cycle time, flexibility, and productivity. Therefore, the key elements of this approach are continual involvement in management-level activities and an understanding of the critical success factors in the business--namely, customer markets, technology, and the nature of services provided. These needs triggered the development of activity-based costing (ABC) in the late 1970s, followed by activity-based management (ABM). ABC was originally used to determine the cost of products and services. However, ABM expanded the ABC concept and began to serve as the accounting system for the continuous improvement of institutions. ABM is based on the assertion that in most organizations, productivity and cost are too complex to know or control by referring to management accounting reports. Instead, institutions must track costs in relation to the activities performed. Conventional costing assumes that products/services cause cost. In contrast, ABM assumes that activities cause cost, and cost items create the demand for activities. In other words, activities consume resources, and products/services consume activities. This means the tracing and assigning of costs to products/services must be decoupled and computed in two stages. In other words, ABM indicates the not-so-salient difference between usage of resources and spending on resources. Spending on resources refers to the funds expended on total available capacity, whereas usage refers to only the portion of that resource utilized. So, if usage of resources is cut without reducing spending on labor and overhead, there will not be any change in the bottom line. This concept is particularly important in the current environment, where the overhead cost for most services consists of an ever-increasing percentage of the total cost. Thus, the traditional overhead allocation system does not provide the insights needed to reduce overall cost for productivity improvements. Financial perspective: "If we succeed, how will we look to our stakeholders?" Customer perspective: "To achieve our vision, how must we look to our customers?" Internal perspective: "To satisfy our customers, what management processes must we excel at?" Organizational learning: "To achieve our vision, how must our organization learn and improve?" Every activity in the process is a customer of another activity and in turn has its own customers. In other words, all activities are part of a customer chain and work together to provide value to the outside customer. After activities have been defined, the next phase of ABM is to do a value analysis for every activity. The purpose of this step is to determine whether value is being added in every step, for whom the value is being added, and whether this value is something for which the customer is willing to pay. In higher education, rather than using a binary "value-added/non-value-added" label for every activity, a more appropriate approach is dividing the activities into four categories: essential, incremental, sustaining, and waste. Essential activities add value for both internal and external customers. Thus, institutions would like to maximize their efforts and resources for these activities. Incremental activities provide value only to the supplier, with no stated requirement from the customer. Institutions need to assess whether such activities are truly necessary. Sustaining activities are performed in response to internal and external regulations, institutional policies that add no value to the internal/external customer. Institutions must evaluate the basis for the requirements and minimize the level of effort applied here. Waste activities are performed because of an insufficient or outdated process. These activities should be eliminated entirely. It is important to recognize that when using ABM, we are not interested in attaining the same level of precision used in financial reports. The accuracy level should be reasonable for decision-making purposes. The core processes in organizations normally fall into three areas: human processes, information processes, and material processes. Another valuable tool that can assist in continuous process improvement is benchmarking. This determines what kind of gap exists between an institution's performance level and that of other organizations. 1. Pringle, John. 1984. Essentials of Managerial Finance. Glenview, Illinois: Scott, Foresman & Company. Brimson, James A. 1994. Activity-Based Management for Service Organizations, Government Entities and Nonprofits. New York: Wiley. Lewis, Ronald J. 1995. 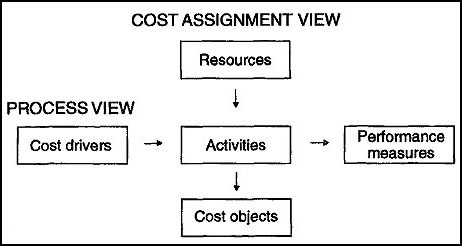 Activity-Based Models for Cost Management Systems. Westport, Connecticut: Quorum Books. McFarland, Walter B. 1996. Concepts for Management Accounting. New York: National Association of Accountants. Nemmer, Erwin E. 1975. Basic Managerial Finance. St. Paul, Minnesota: West Publishing Company. Qayoumi, Mohammad H. 1996. "Using Activity-Based Management as a Vehicle for Managing Change" Facilities Manager 12: 28–32. Wiersema, William H. 1995. Activity-Based Management: Today's Powerful New Tool for Controlling Cost and Creating Profits. New York: AMACOM.